Businesses can play a major role in contributing to economic, environmental and social progress, especially when they minimise the adverse impacts of their operations, supply chains and other business relationships. 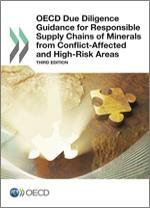 The OECD Guidelines for Multinational Enterprises recommend that enterprises conduct due diligence in order to identify, prevent or mitigate and account for how actual and potential adverse impacts are addressed. 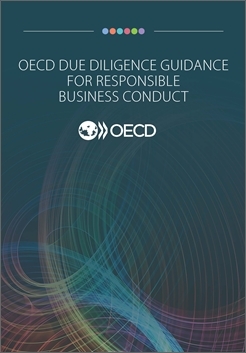 The OECD Due Diligence Guidance for Responsible Business Conduct provides practical support to enterprises on the implementation of the OECD Guidelines for Multinational Enterprises by providing plain language explanations of its due diligence recommendations and associated provisions. Implementing these recommendations can help enterprises avoid and address adverse impacts related to workers, human rights, the environment, bribery, consumers and corporate governance that may be associated with their operations, supply chains and other business relationships. The Guidance includes additional explanations, tips and illustrative examples of due diligence. This Guidance also seeks to promote a common understanding among governments and stakeholders on due diligence for responsible business conduct. The UN Guiding Principles on Business and Human Rights as well as the ILO Tripartite Declaration of Principles Concerning Multinational Enterprises and Social Policy also contain due diligence recommendations, and this Guidance can help enterprises implement them. 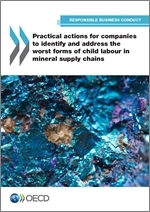 The development of this Guidance involved a multi-stakeholder process with OECD and non-OECD countries and representatives from business, trade unions and civil society. Download comments received during the online public consultation held from December 2016 to February 2017. 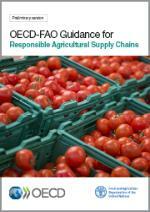 The Guidance draws from approaches contained in sector-specific due diligence guidance already developed by the OECD.